Whatever your event, West Studios offers a contemporary and relaxed environment for any occasion. Throughout our meeting rooms you’ll have access to free Wi-Fi, projectors and an interactive screen. Ideal for any creative or professional event, all three of our spaces can be booked for larger events and exhibitions, with a natural flow from one room to another. Hourly rate and discounts for charities and community groups are also available upon enquiry. Breakfast, Lunchtime and refreshment catering can be provided along side any of these bookings. Our light and airy exhibition space is perfect for casual meetings, networking events and more social activities. With interactive TV and additional projector facilities. Hosting up to 40 theatre style and 25 cabaret style. 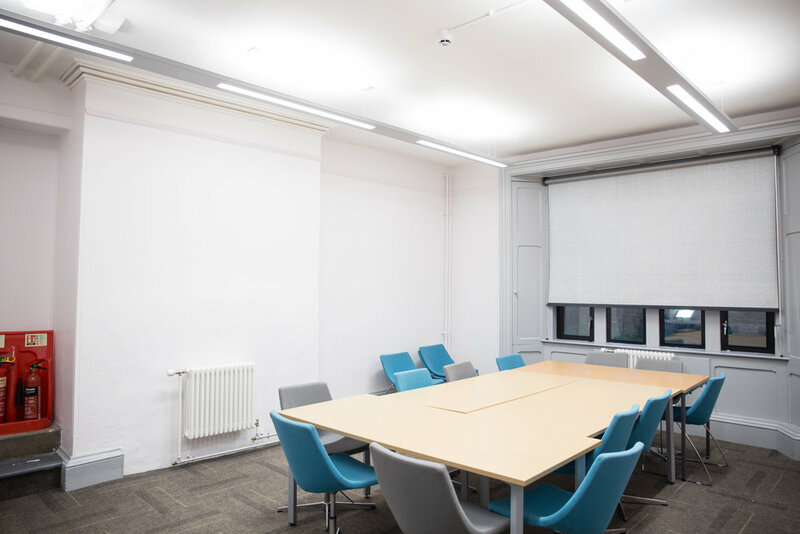 The meeting room offers more traditional facilities, ideal for your business, committee or community group. Hosting up to 35 theatre style and 20 cabaret style with intergrated projector and interactive white board. 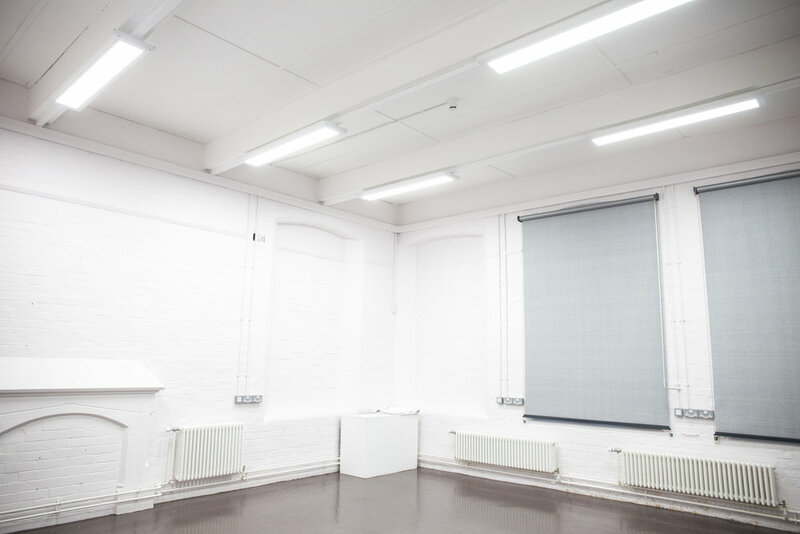 Our adaptable studio is a flexible space made for rehearsals, photoshoots and workshops, as well as team building activities and creative events. Hosting up to 50 theatre style and 30 cabaret style, additional projecting and computer equipment can be preordered with the booking.